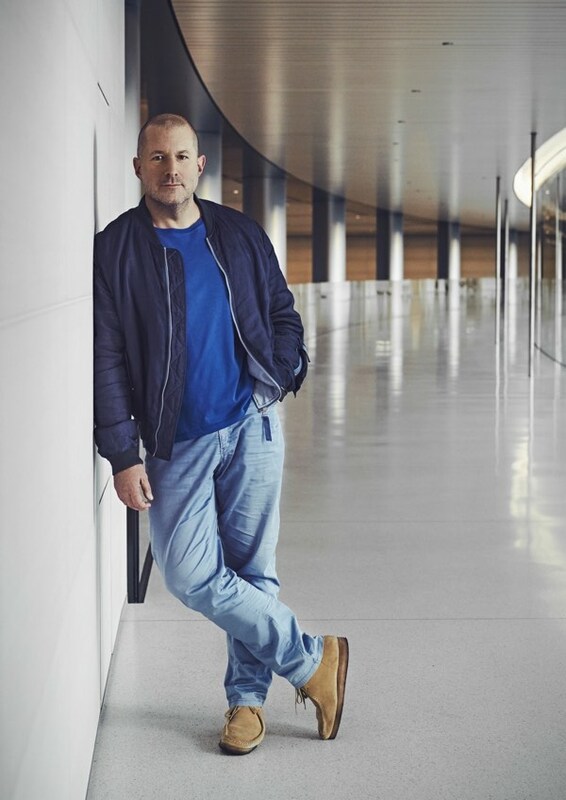 Apple's design chief Jony Ive, who is responsible for overseeing the creation and design language of almost all of Apple's products, even down to its stores and campuses, recently sat down for an interview with Benjamin Clymer, the founder of watch-focused site Hodinkee. Ive shared details on the creation process behind the Apple Watch, some of Apple's inspiration for the device, and the experts the company consulted with, along with background on the first watches he purchased, Apple's focus on health, what he finds inspiring, and more. Ive's first watch of note was an Omega Speedmaster, which he says he bought in 1992 on a trip to Kowloon. Ive says he was "utterly seduced" by its use in space exploration. "Somehow it epitomizes the optimism, ambition, and courage of invention," he said. Ive said he also admires the Nautilus by Patek Philippe, which he describes as a "bizarre, bizarre object." According to Ive, Apple CEO Steve Jobs had no particular interest in watches, and so early discussions for the watch didn't take place until 2012, a few months after Jobs passed away. The death, said Ive, caused Apple to "think about where we wanted to go" and what trajectory Apple was on as a company. Apple was also exploring its contribution to its users. "I think, incontrovertibly, that Apple since the 1970s has made difficult-to-comprehend and inaccessible technology easy to understand and accessible." The Apple Watch, with its focus on the personal, was the next logical step in device development, and its creation was different from many of the products that came before it because there were existing references. "Normally there are no parallel products from which to learn," said Ive. Given the historical context of the watch, though, Apple did something "highly unusual" and consulted a range of experts. Ive says Apple asked seven experts for their assistance with the Apple Watch while it was still in development, and he provided details to Hodinkee. Apple consulted Will Andrewes (a horologist with 40 years of expertise), Jonathan Betts (Curator Emeritus at the Royal Observatory), Dominique Fléchon (a specialist in antiquarian horology), Grégory Gardinetti (Fondation de la Haute Horlogerie historian), Claudia Hammond (a writer and psychology lecturer), David Rooney (Keeper of Technologies and Engineering at the London Science Museum), and Chris Lintott (an astrophysicist at the University of Oxford). Marc Newson, who Ive said is his best friend, was also involved in the Apple Watch's development as he had designed several watches in the past. Apple wasn't aiming to solve a particular problem with the Apple Watch, according to Ive. It was more so a "matter of optimization - of opportunity." In the vein of "opportunity" Ive also alluded to future Apple Watch development and how much more impressive the idea of opportunity is to him because he knows the technology Apple has in development. You can look at Apple Watch in terms of trade docs - what it does, etcetera - or you can look at what would be possible if you knew that you had this much technology with you at all times. Many of us have our phones with us all the time, but they aren't connected to you. Imagine having something this powerful with you at all times, and what opportunities that might present to the user. That the opportunity is phenomenal. Particularly when [you] don't understand just where we are today in terms of technology and capability, but where we are headed. Despite the early input from horological experts and the storied history of the watch, Ive says there were no homages in the Apple Watch. "Everything served a purpose," said Ive. "Everything we did was in the pursuit of what we thought was the best solution." Ive used the digital crown as an example, which he said "took a modicum of courage" to implement with Apple's typical disposition towards "direct manipulation." According to Ive, one of Apple's aims with the Apple Watch was to "broaden how relevant we were," which is why the company explored new materials like the gold and ceramic that's been used for higher-end Edition watches. Ive says that working in gold and ceramic was "purposeful" for expanding "who Apple is" and from a materials science perspective as it will help with the development of future products. Health-based capabilities were "an early and significant focus" of the Apple Watch, and Ive says that feedback from customers who have had health benefits from the Apple Watch has been hugely motivating. In fact, he says that he finds customer feedback much more motivating than Apple's new position as the largest watchmaker by revenue. I am honestly far more motivated by hearing from one customer who believes that the Watch has materially improved his or her life. It's a privilege to work on products that people develop an affection for and that become an important and positive part of their daily lives. The full Ive interview, which goes into much greater depth on many topics surrounding Apple Watch development, can be read over at Hodinkee. "According to Ive, Apple CEO Steve Jobs had no particular interest in watches"
I can see why. No offense to anyone who bought one, I'm sure they have their use cases but they are just meh to me and I still have no interest in them or the product category in general. I don't see the Watch as the game-changing product like the iPod, iPhone and iPad were. He should be Apple's CEO. No thanks. iOS will never get any better, he's the one who initially ruined it in the first place with the redesign that we're still feeling the effects of 5 years later. I don't think he has it anymore in regards to hardware either. Things like the notch, protruding camera lens, ugly antenna lines and the keyboards on MacBooks getting stuck and generally being inferior. Lol ok Mr "Make it thinner!". The Apple Watch is one of Apple’s best products to date, I love my Series 0 and this is coming from someone who never use to wear a watch before, the health and fitness related aspect is brilliant I can track my run, calories burned and so on but it also enables me to see notifications without needing to take my phone out of my pocket all the time. Quickly replying to txt is simple and easy the watch faces can be changed and the overall design is just brilliant. It’s a very nice looking fashion accessory and I think people probably don’t appreciate how great it is that the bands can be swapped out so easily and changed, I can change from a sport band when going for a run to a leather band when going out to a restaurant or a more formal occasion. My wishlist for future Apple Watch would be, more battery life, more health features and expand the case materials maybe add more colours to the Ceramic model as well. I wish Ive would just admit they completely botched the initial roll out, and if not for changes that were made with the Series 1 and 2 models that both lowered the price and returned focus to functionality instead of fashion the Apple Watch would have failed spectacularly. It was a dumb product I found useless... Until I got one myself. And it had helped me stay in shape and keep being motivated. I was skeptical of the AW. I am not in love with the design but, I end up getting the series 2 when it launched because I wanted a swim tracker. Man, in a weird way the ring challenges made me a better swimmer and my fitness level is way better now due to all the tracking data. Also, AW has some quite nice features that I use daily. Ideally, I would wish Apple made a band so I could keep the mechanical watches that I love, but in the end, I think AW was a very positive experience and I am on my second one. Good job Apple! Hm. So I'm with Steve on this one. Along with a lot of his other positions, it seems. Odd, I wasn't a huge Jobs fan while he was alive, and am certainly unfit to judge his character as a person, but the more Apple strays from what it was under him, the more I'm beginning to appreciate a lot of his ideas on product. What ever, the Apple Watch can be so much more. Start with battery life. You know the watch actually got a hair thicker in iterations right?